Want to head on a Disney cruise or to Disney World? Well, then be prepared to open your wallet. Both the cruise line and the resort have a reputation for being pricey. But while many people complain about the price, most people also feel that they get what they pay for. Disney’s reputation for service is outstanding — and has been for decades. That’s why some folks have no issue paying out extra for an experience that’s second to none. If you’re researching a trip to Disney World, you might have wondered if instead it might be a better deal to take a Disney cruise. Or maybe you’ve seen the prices on Disney cruises and wondered if you can save money by planning a trip to the resort instead. No matter the reason, while the two experiences are very different, it’s a fair comparison to see if the cruise or the resort will give you the biggest bang for your buck. Below, we’ve compared several options for both Disney cruises and trips to Disney World to see which comes out as less expensive. Just like any vacation how much you spend on a Disney cruise depends largely on your own personal budget, below, we’ve provided three options — a bare bones budget, a moderate budget, and a high-end budget. For our comparison, we created a hypothetical family of four (two parents and two children) all staying in one cabin or room for a four-night cruise. And to make the comparison fair, we selected a cruise departing Port Canaveral (the closest port to Disney World), departing in August. If you want to simply get on the ship, we found a cruise aboard the Disney Dream departing in August that runs a total of $4,725 for an inside cabin. The cruise departs Port Canaveral, with a stop in Nassau, followed by a stop at Disney’s private island — Castaway Cay — before heading home. Keep in mind that this includes four people sharing a small cabin (169 square feet). However, you have full run of the ship. 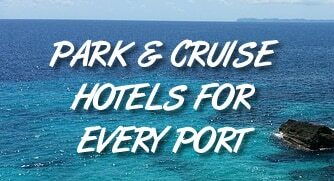 Furthermore, meals and entertainment are included, but extras like alcohol or shore excursions are not. The funny thing about taking a Disney cruise is that while most other cruise lines have large discrepancies between what you pay for an interior cabin and a balcony, Disney offers the upgrade for relatively little. In our search, we found you could upgrade to a verandah (private balcony) cabin for just about 10% more, or $5,077. In this case, you not only get your own balcony, but you upgrade your cabin space from 169 square feet to 246 square feet. If you like, there is also a larger verandah cabin that’s 299 sq. feet for $5,293. Are you a big spender on your vacation? In that case, you can get a top-of-the-line suite on a Disney cruise. These suites are ideal for families as they offer more space. That said, they will definitely set you back. The cruise we looked at featured several options. The first was a Concierge Family Stateroom with a Verandah, which at 306 square feet, costs $7,983. It should be noted that guests who select a Concierge level cabin receive special perks like priority boarding and special lounge access. Even higher-grade options include a Concierge 1-bedroom suite with balcony (and a huge 622 square feet) for $10,517 and a massive 1,781 square feet Concierge Royal Suite that runs a rich $25,304. While there is no doubt that Disney cruises are expensive for most travelers, keep in mind that they include nearly everything — all food and entertainment on the ship is included in the price. By comparison, you can buy packages for Disney World that include tickets to theme parks and accommodation but food normally isn’t included. As well, the packages below don’t include flights or other transportation needed to get to the park in Orlando. The good news? If you are a budget traveler, a 4-night trip to Disney World is much more affordable than a cruise. For those with a bigger budget, the cruise and similar stay at the resort are more comparable in price. To compare apples to apples, we looked at a stay at Disney World for the same four nights offered on the cruise featured above. For the budget family travel, we looked at Disney’s All-Star Music Resort, which is a less-expensive hotel within the resort. The four-night stay also includes park tickets for the family and costs $2,104. One thing to note — a standard room features two beds and sleeps up to four adults. It will be much more comfortable than having a family of four within a small interior cabin. Have a little bit more to spend? There are quite a few options, but for $3,798 you can book at 1-bedroom villa at the Saratoga Springs Resort. The villa includes a ton of amenities including free Internet, a full kitchen, and washer and dryer. Meanwhile, it still runs about $1,300 less than a cabin with balcony on a Disney cruise ship. You’ll also have a king bed and a queen-sized sleeper sofa for everyone to have plenty of space while they sleep. If you have money to spend, what about a suite at the Grand Floridian Resort — one of Disney’s highest-end hotels? This stay features club-level service with access to an exclusive lounge. In addition, you’ll have a view of the Magic Kingdom park and enough space to keep everyone happen with 2 queen beds and a day bed in a room that sleeps up to five adults. In total, the suite runs $6,588 — noticeably cheaper than suites on a Disney cruise, but within the ballpark. In comparing the prices of a cruise versus a stay at the resort, it’s clear that most people will spend less heading to Disney World. In many cases, a Disney cruise will cost significantly more than the price of trip to the theme park. So does that mean it’s not worth it to go on a Disney cruise? Not at all. There are some definite things to like about going on a cruise. One major part of the cost of visiting Disney World is that you need to get there first. In our comparison, we looked at cruises departing Port Canaveral in the Orlando area. But the cruise line also sails from Miami, San Diego, New York, and Galveston. If you are within driving distance of one of these ports, you don’t have to worry about flights to Orlando. Depending on the size of your family, that can save thousands. Let’s face it, heading to Disney World can be anything but relaxing. The parks are big and can be crowded. By the end of the day you can be exhausted. In comparison, taking a cruise is relaxing. Explore the ship, head to the pool, or simply hang out at the beach. There is no shortage of things to do on the ship, but it’s not as “go-go” as visiting the resort. One of the worst parts of visiting central Florida theme parks in the summer? The heat. It can be downright dangerous if you don’t keep yourself cool and hydrated. It’s much different when you have a cool air-conditioned cabin on the ship just a short walk away at all times. In other words, if you have trouble handling heat, then a cruise may be a better option. If you’re a Disney fan, there’s no doubt that you’ll love heading on a cruise or heading to the theme park. If you’re cost-conscious, you’ll likely have a less expensive vacation heading to the Orlando park. But considering the very different experiences between the cruise and the theme park, there is no wrong answer.